The Slovenian state creates a bad bank in order to restructure the financially stricken banking sector. Last month, the Slovak state deficit was down to € 2.59bn. In August, the deficit stood at € 2.68bn. Austria´s Finance Minister praises Greece's efforts to improve its situation. According to preliminary data the deficit of the general government sector in the first half of 2012 was HUF 393 billion, 2.8% of GDP. Although the deficit is smaller than last year, the 2012 target will not be met. 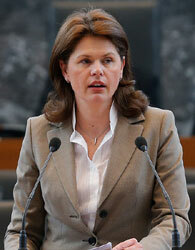 In August, Finance Minister Maria Fekter underlined that the budget deficit will not exceed 2.9% of GDP. Due to the banking package, the budget deficit will be higher, though. 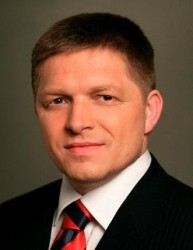 The Czech Government presented the budget bill for 2013. The Maastricht Criteria should be fulfilled. Public Finances 2011: Public deficit at 2.5%, Public debt at 72.4% of GDP. In the first half of 2012, Austria´s public debt level grew by € 6bn. 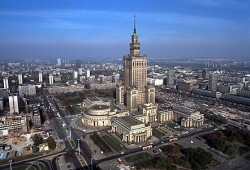 Today, the Polish Ministry of Finance has issued the government´s final budget bill for next year. The budget deficit is estimated to shrink slightly. 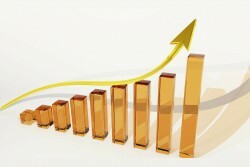 Poland´s GDP Expected to Grow by 2.2% in 2013. 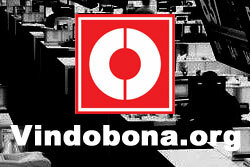 Slovenia ´s former Prime Minister Anton Rop is optimistic that the country will manage the crisis. The Serbian Minister of Finance Mladjan Dinkic asked the Chinese Exim Bank for a € 850m loan in order to realize construction projects. IMF is not satisfied with Serbia´s austerity policies yet. 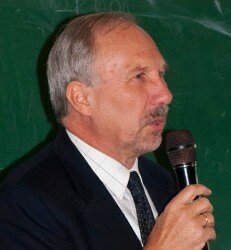 Vince Szalay-Bobrovniczky, the Hungarian ambassador in Vienna, emphasized that Hungary is not dependent on the IMF loan. The IMF urges Hungary to reduce its bureaucracy, he says. Since 2007, the debt level of Austrian federal states rose by 87%. In the same period, the Austrian Federation´s debt was up by 27%. The Serbian government aims to achieve a balanced buget in 2014. Austerity measures should be sharpened. Ivan Iskrov, governor of Bulgaria´s National Bank explains that entering the Eurozone would be a long-term priority for the country. The U.S. rating agency also confirms the negative outlook. Austria´s strengths are the growth rates and the low unemployment rate. The Austrian economist expresses his concerns regarding the second package for Greece. The Slovenian government aims to lower risky assets of the financially stricken banking sector. A major capital increase may be necessary. Since 2008, the Austrian government has resolved rescue packages worth € 21bn. Expenses totaled € 4.169bn, revenues reached € 1.814bn. Because of its instable political situation, the Czech Republic may be downgraded. Debt service costs may increase substantially. Although the planned budget deficit will not be met this year, Poland´s Finance Minister Jacek Rostowski expects a declining public debt quota. In order to prevent the national bankruptcy, the Serbian government raises the VAT by two percentage points. Recently, Prime Minister Janez Jansa warned of a national bankruptcy. For the opposition, Slovenia is far from declaring its illiquidity. In an interview with the Austrian newspaper “Presse”, the Croatian Minister of Foreign Affairs Vesna Pusic explains that Croatia still aims to become a member of the Eurozone. The Maastricht Criteria would not be fulfilled yet, she says. Despite the economic slowdown, Poland´s credit profile remains robust, Moody´s Assistant Vice President Jaime Reusche told PAP. After the austerity package was disapproved by the Czech Parliament, the government resubmits the bill to the Chamber of Deputies. 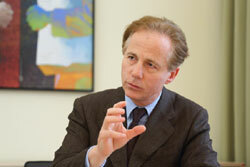 The Slovenian economist Egon Zakrajsek explains that Slovenia´s illiquidity only a question of time. The problem banks should be sold, he recommends. 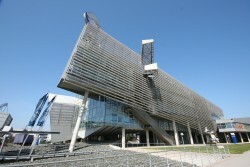 Although Austria is the biggest investor in Slovenia, the Austrian banking industry does not fear a national bankruptcy. In the World Economic Forum Competitiveness Ranking, Austria ranks 16th and could move up three places. 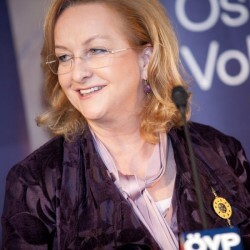 The public debt quota, the tax quota and the investor protection are the main weaknesses of Austria.